If you live in Asia (or Los Angeles for that matter), you’re already well-versed in acupuncture and all of the benefits of acupuncture. It’s a huge component of traditional Chinese medicine and it involves the stimulation of points on the body using thin, metallic needles. I’m a huge advocate and have used it for many years for my torn ACL, my two pregnancies, neck/shoulder pain as well as fine lines and anti-aging. There is a wide range of other reasons clients receive acupuncture treatments on the regular – not only for a slew of physical benefits but a host of emotional and mental ones as well. Let’s delve into it, shall we? 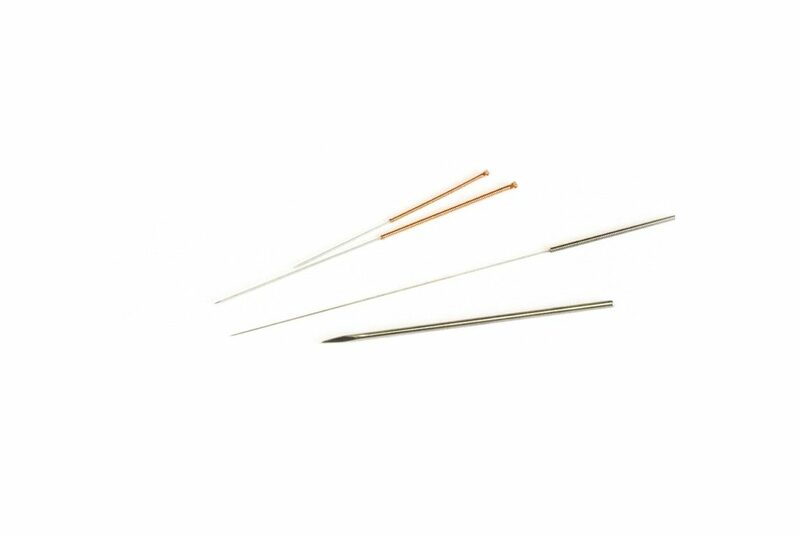 Acupuncture needles are long thin needles which are inserted into the skin’s surface. 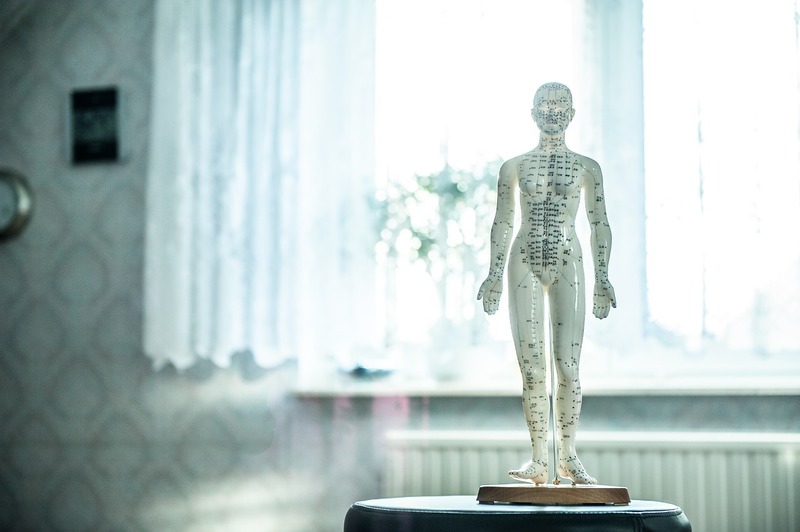 Acupuncture is centered around the concept that energy (or Qi – pronounced chee) flows through the body through a network of meridians or channels, and this is what keeps us feeling healthy and balanced. Illness is a result of this Qi becoming disrupted. To restore the flow of this energy, acupuncture needles are inserted into the skin at various acupuncture points that sit along these meridians. The areas where your needles are inserted depends on the particular symptom you’re aiming to address. In the same way that you need flowing water for the water to be healthy, your body needs that same active energy through your channels. We want to increase circulation and blood flow to allow the body to heal. People go to their acupuncturists for a variety of reasons – whether it’s for fertility issues, pregnancy issues, weight loss, weight gain, chronic pain, insomnia, depression or even to help subside chemotherapy side effects such as nausea and vomiting. In sum, the benefits all lead to putting the body back in balance. They’re endless and all over the map. As I stated above, I started as a patient for a variety of reasons that needed addressing. I started when I tore my ACL from taekwondo and was doing everything to resist surgery. I was feeling pain in my left knee but was resistant from doing surgery since I have seen all the post-surgery side effects from friends. It’s been doing wonders and the effects were almost immediate. It’s been 8 years since I tore my ACL fully — and with regular treatments of acupuncture as well as hamstring and quad exercises through my barre classes, I have been able to withhold surgery. Because I am at the computer all day, I have a tremendous amount of neck and shoulder pain and tightness. This is the one area on my body where I received a dull pain from the insertion of the needles. I guess there was zero flow in this area of my body. Acupuncture worked wonders for me here as well. I had the worst morning sickness with both children – and sought acupuncture to help it subside. For me, acupuncture didn’t work in this respect; however, I know for many that it assisted with nausea and vomiting. Also, who knows if my nausea would have been even worse if I didn’t do acupuncture. I was lucky to get pregnant twice easily; however, I know that many people see acupuncture for fertility issues. Advocates say that when acupuncture is used as a treatment for fertility, success is achieved since it helps boost blood flow to reproductive organs and balance hormones. I was treated with acupuncture as well as moxibustion — and guess what? Taja’s head turned in a downward position. I can’t say for certain if this was a coincidence or a direct effect of acupuncture — but what I can say is that my desire result was achieved! NIH does support that acupuncture plus moxibustion is indeed a valid option for women wanted to experience a natural birth. Acupuncture here is a cosmetic treatment – and one that I fully engage in to achieve a healthier and more vibrant look. It’s actually a huge part of Korean Beauty. As we age, the production of collagen slows (or comes to a screeching halt!) so facial needles can improve collagen production and increase circulation in the skin. Acupuncture has been used widely for those with mental illness as well as those suffering from stress and anxiety. Which is I guess all of us, no? I think it’s safe to say that with all the meditation and yoga studios popping up around the country (and the success of many of them), it seems to me that we’re all in need of a mental break. Clinical studies illustrate that these needles can help release feel-good hormones like dopamine and serotonin—the same ones released when we fall in love. It’s no wonder that people have been turning to acupuncture for stress, anxiety, attention deficit disorder, depression and PTSD. It feels like a pinprick, but once it’s inserted through the skin – you don’t feel a thing. However, some pricks hurt more than the other. The more blocked the qi is in a certain area, the more it hurts. My knees, face, arms, hands were always easy peazy. But once he got to my shoulder, I felt a deep dull pain. I personally haven’t experienced any side effects and NIH, too, has stated that there are few complications have been reported. However, complications may result from the use of nonsterile needles and improper delivery of treatments. If the needles are not inserted correctly, they can cause serious adverse reactions such as infections, punctured organs, collapsed lungs, and injury to the central nervous system. It is crucial to use an experienced and qualified acupuncture practitioner – and it’s equally crucial that you make sure that they use sterile needles. Have a bleeding disorder. Your chances of bleeding or bruising from the needles increase if you have a bleeding disorder or if you’re taking blood thinners. Have a pacemaker. Acupuncture that involves applying mild electrical pulses to the needles can interfere with a pacemaker’s operation. Are pregnant. Some types of acupuncture are thought to stimulate labor, which could result in premature delivery. There isn’t a blanket fee chart for acupuncture costs. The fee can vary according to a variety of factors: on geography, the competition in the area, the experience of your doctor, etc. In Los Angeles, I have found that the general price is in the range of $75-$120 per session. And the sessions range from 20 minutes to an hour. I have been lucky to find wellness centers that take my insurance – so I usually just pay a copay of $10-$30 per session. Acupressure is also rooted in ancient Traditional Chinese Medicine. Whereas acupuncture requires the use of needles to stimulate specific areas of the body, acupressure requires no equipment. It requires pressure to acupressure points alongside 12 meridians on your body that reside from the top of your head to the bottom of your toes. Like acupuncture, acupressure is also used to release blockages and optimize the flow of energy through your body. I am a huge advocate for acupressure massages as well as self-acupressure. It helps balance my body in both the physical and mental sense. If you’ve had a Shiatsu massage in the past, then you’ve had an acupressure massage. 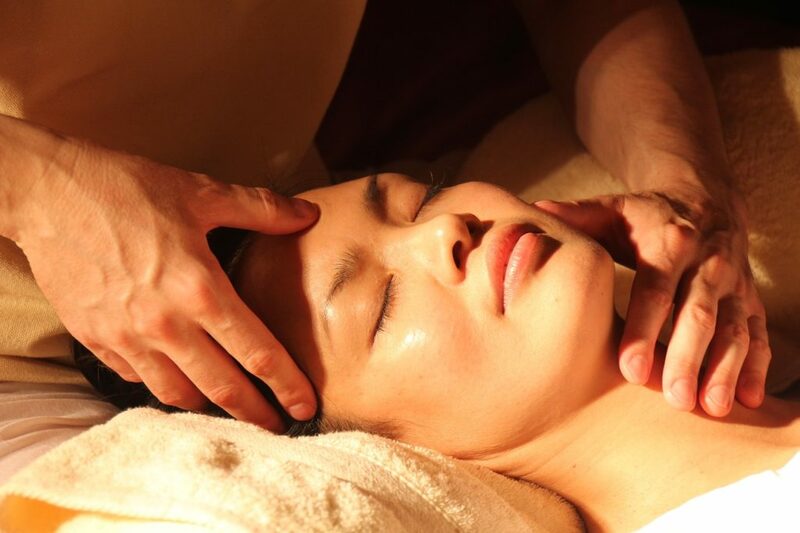 Shiatsu massage is just the Japanese form of acupressure. + Thanks for reading! If you have any questions that I didn’t answer, please ask! I have been using acupuncture (as well as acupressure) for years and it’s something that has become a regular part of my routine. I’m actually due for a visit!